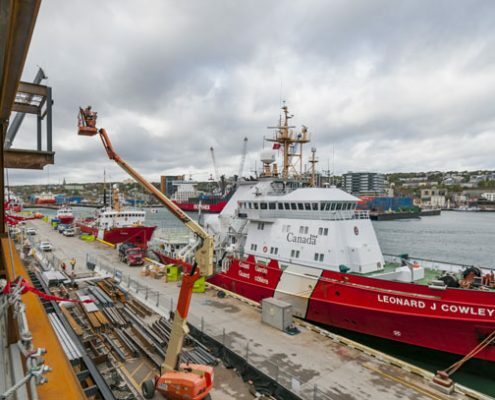 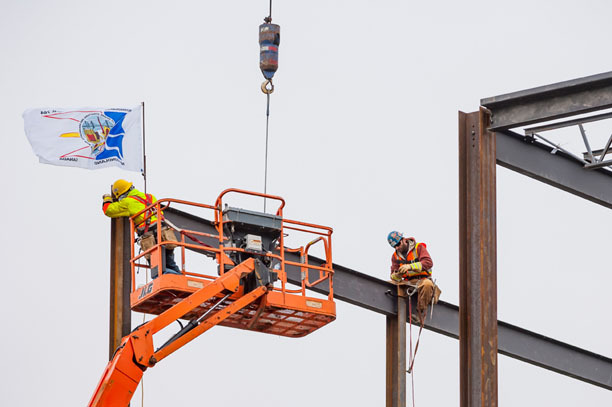 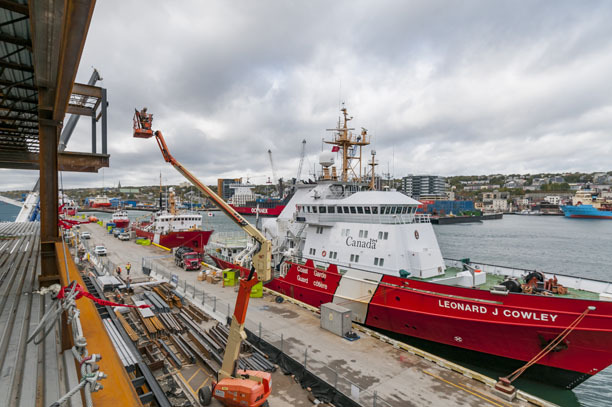 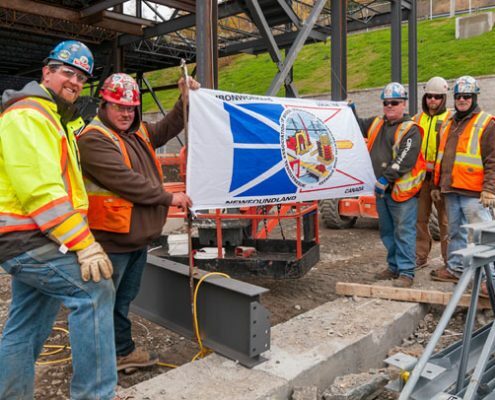 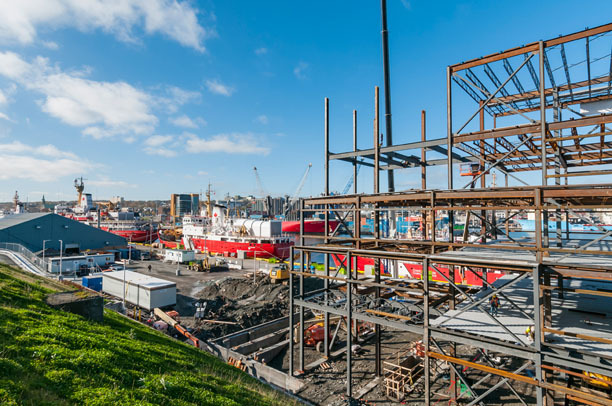 In 2017, Marid Industries partnered with Lindsay Construction on the fabrication and erection of the new Canadian Coast Guard Atlantic Regional Headquarters in St. John’s, Newfoundland. 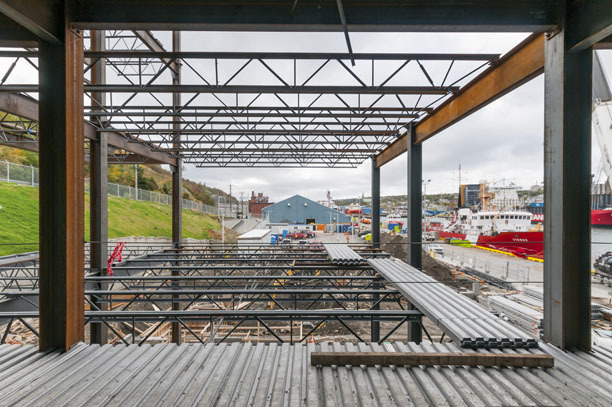 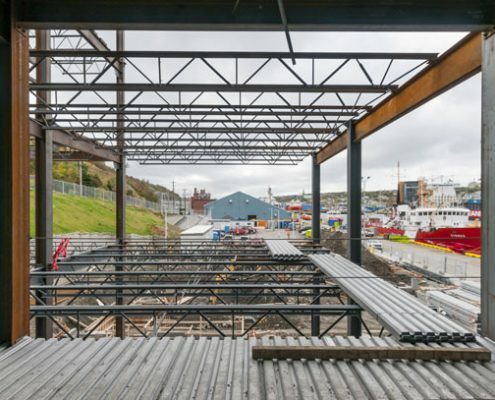 This 5 Storey, 68,000 square foot building was erected within tight quarters on the St. John’s Harbour waterfront and includes multi-use spaces for offices, training facilities and various workshops. 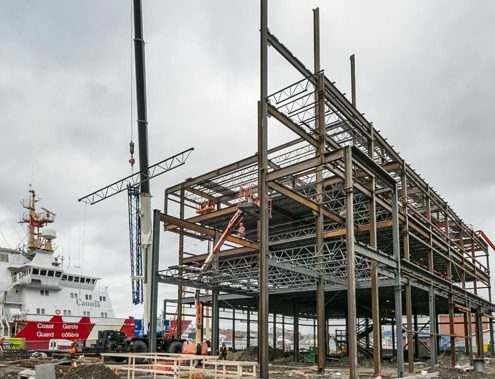 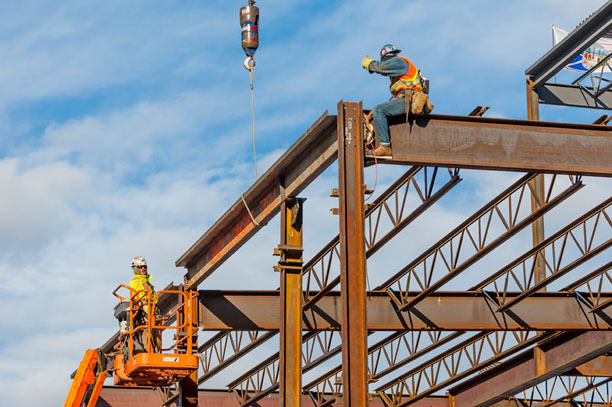 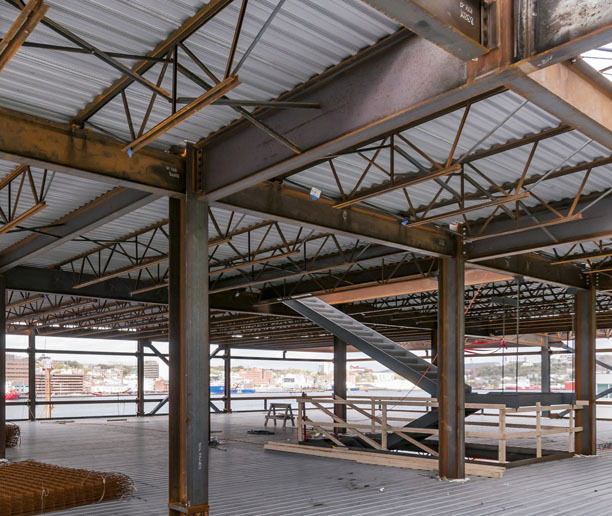 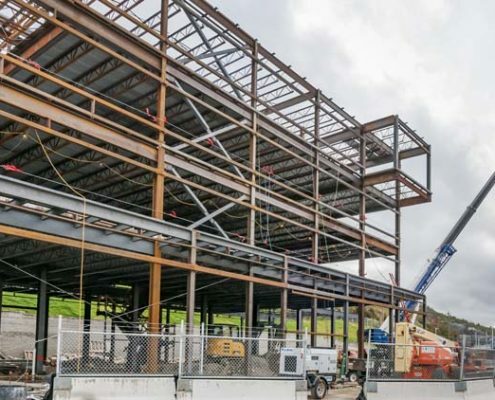 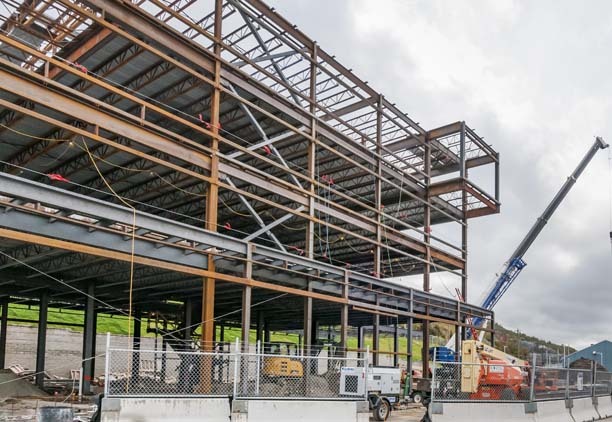 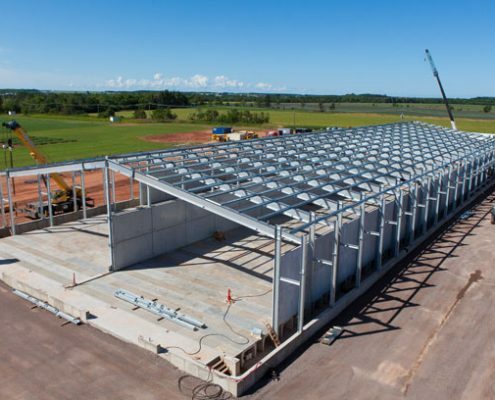 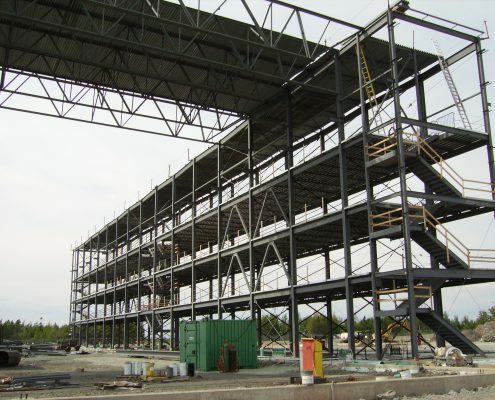 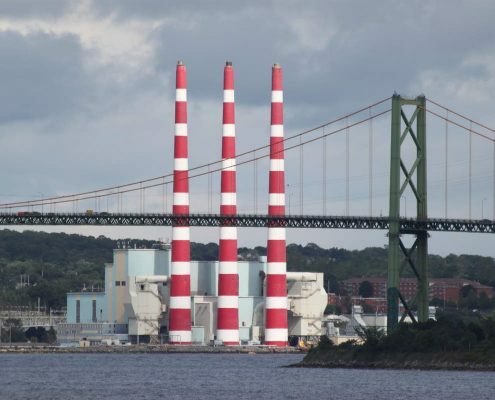 Erecting steel while maintaining full operational capability at the existing Coast Guard wharf was a challenge that required detailed planning and execution in order to not interrupt the daily activities at this busy location.